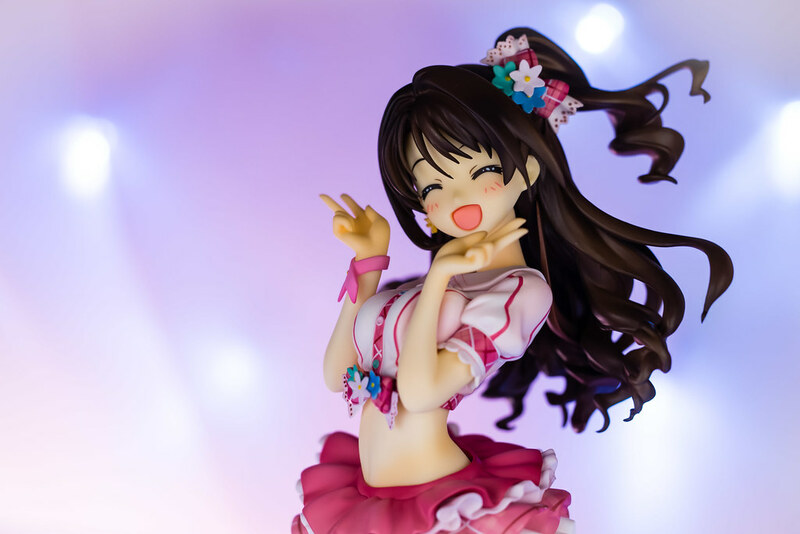 Good Smile Company - Shimamura Uzuki New Generation Ver. Hi peeps! Are you all doing your best today? 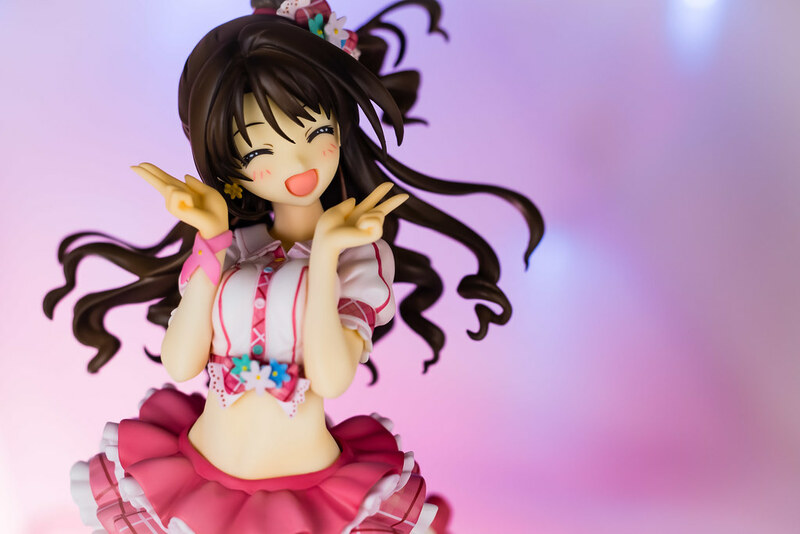 I sure tried do my best and finish the year with a strong note with a nice look at the very lovely Shimamura Uzuki New Generation Version by the folks at Good Smile Company. Last time when we took a look at my favorite Cinderella Girl, Ranko, and I mentioned how Uzuki had grown on me as I watched the show. Uzuki was in my radar in the early episodes that focused on the creation of New Generations and their struggles but quickly got lost in the background. I expected her to have a similar focus to how Haruka had in her show but the show quickly changed gears to the other girls. As the show kept progressing Uzuki kept fading more and more out of focus as the other characters came into the spotlight. By the time New Generations had been introduced and their initial struggles resolved the only thing I cared about was not having to tolerate Mio appearing on screen as much anymore and waiting anxiously for Ranko's turn in the spot light. The rest of the first half of the show was spent with me happily getting to know the other girls and shipping Rin with the Producer. As the first half came to a close and the second started airing Uzuki had really cemented in my head as not being particularly noteworthy. The only two things I remembered is that she was part of the group with Rin and would say "ganbarimasu" a lot. Apparently I was not the only one who thought as much. In the Cinderella Girls game she was one the girls that kept getting passed up when it was time to get upgraded forms and nicer cards. She was so ordinary no one really thought much about her apparently other than remembering she was the starter card for the cute idol type. That is, until people started to notice how unpopular she was. According to the Im@s wiki, she became more popular as people starting noticing how unpopular she was and began rooting for her. Bandai Namco took note of this and finally granted her an upgraded form. I actually have been wondering if her back story as a passed on idol where other girls would get picked over her in auditions or move on had some basis on what happened in the card game. Uzuki came back into the picture for me in the second half of the show. The shake up that occurred as a result of the machinations of Director Mishiro after she set her eyes on Rin for Triad Primus and it's effect on Uzuki caught my attention. Typically the happy, air headed protagonist will persevere through the trough times and bring everyone together back again! I expected Uzuki to give it the good fight like Haruka tried before her. With Uzuki though, seeing her insecurities come to the front was an interesting subversion for me. Watching as the events unfolding around her affected her more and more this in turn and in turn this extending to those around her. Slowly realizing how her catch phrase of "I'll do my best!" kept becoming more and more a way for her to mask her true feelings from others rather than her actually trying her best. The culmination of her repressed feelings coming to fore front during confrontation with Mio and Rin and the anime rendition of Uzuki's image song S(mile)ing was the last push I needed to become a fan. 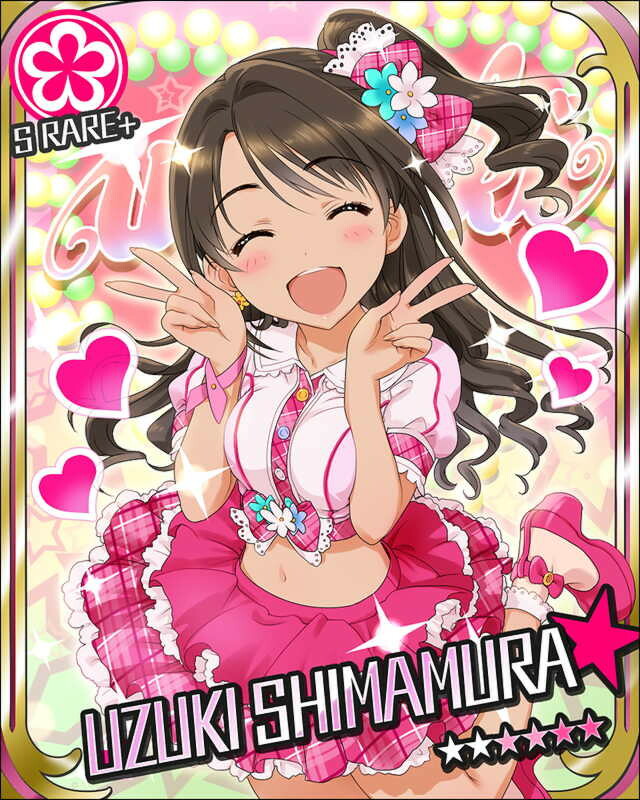 Uzuki has rocketed up the ranks in my idol fandom essentially through the power of character development! Which leads me to this figure. 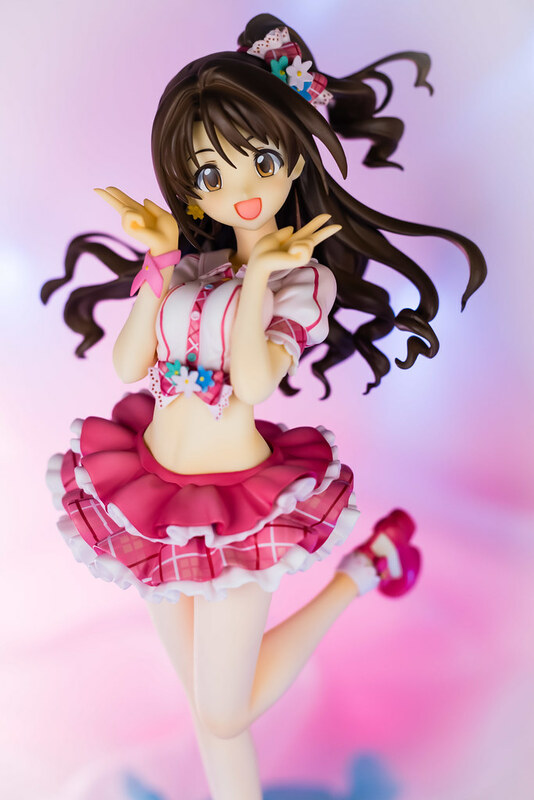 Last year Good Smile Company released their rendition of Uzuki labeled as the New Generation ver. 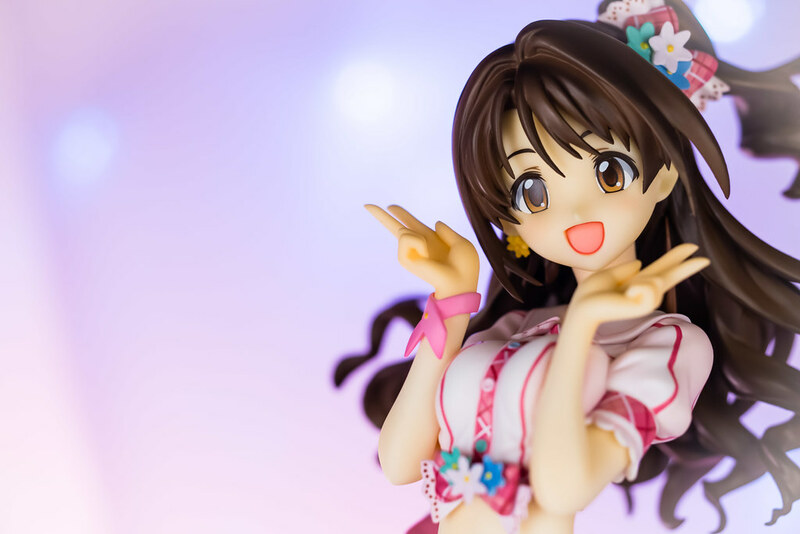 At the time I thought it was fairly pretty looking figure but I had only passing knowledge of Uzuki from reading the first few chapters in the New Gens manga. Without the emotional attachment and not yet having descended into idol fandom I skipped on her. 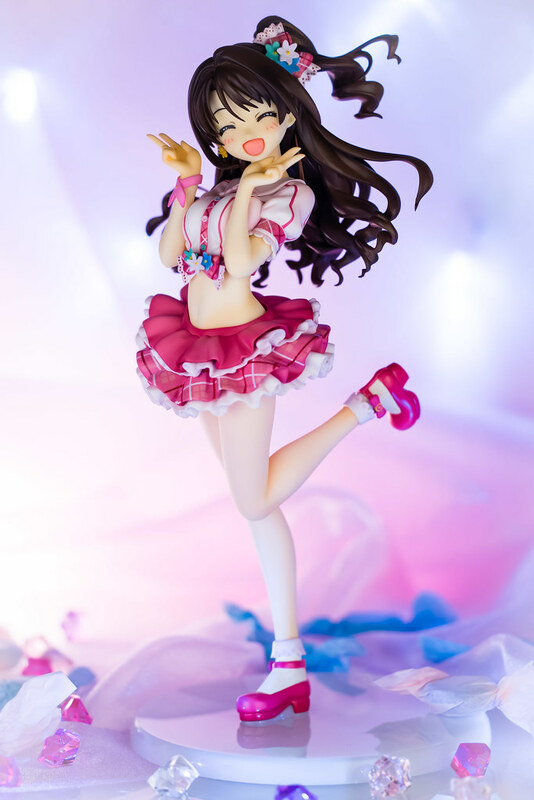 After watching the anime and https://goo.gl/photos/wYcsQ2SK8rPvEZL67 the latter episodes focusing on Uzuki I had an immediate desire to own this figure. I event went back to order the figma I was also gonna skip and didn't think twice about it to get my ganbarimasu fix! This figure showcases her as she looked in the illustration for her S Rare+ card with Good Smile Company doing what they do best bringing her to the third dimension. The figure as a whole nothing short of perfect as a reproduction of the original illustration. 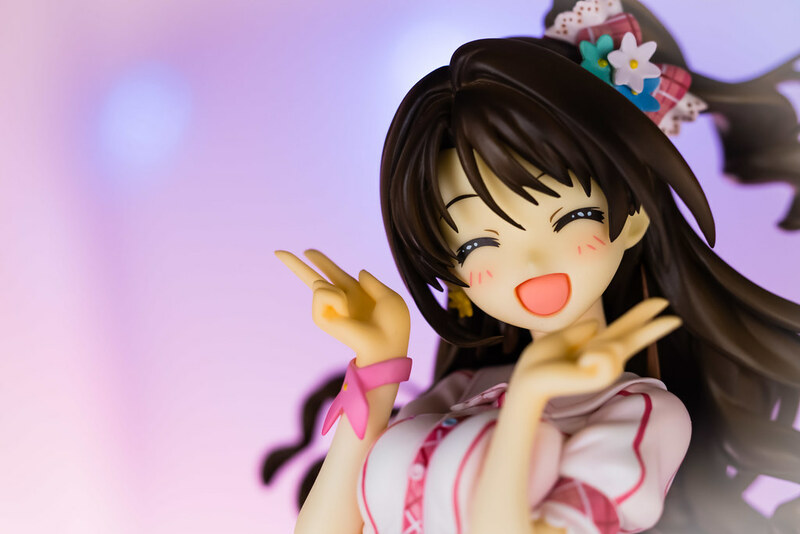 Uzuki comes with an alternate smiling expression showing her nice pretty eyes. I find the default expression based on the illustration to be the more charming one, I just think it makes her smile more powerful. 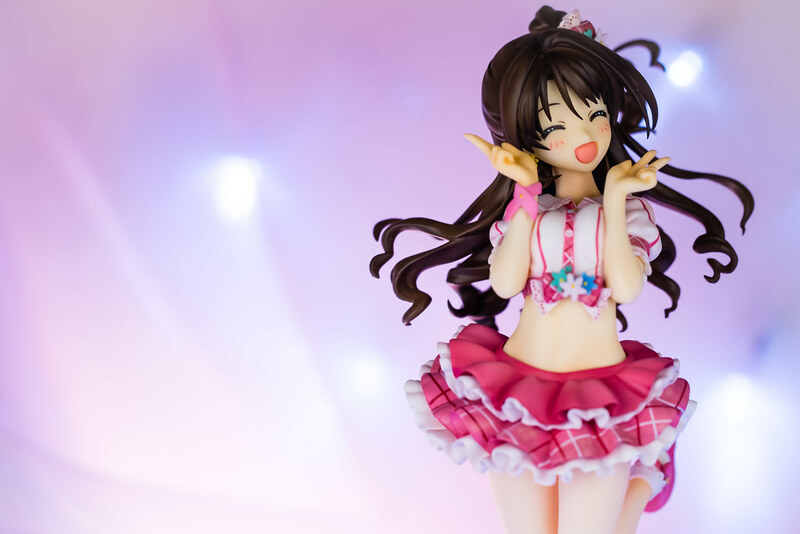 Uzuki's outfit is done well, all the frilly bits look like frilly bits. 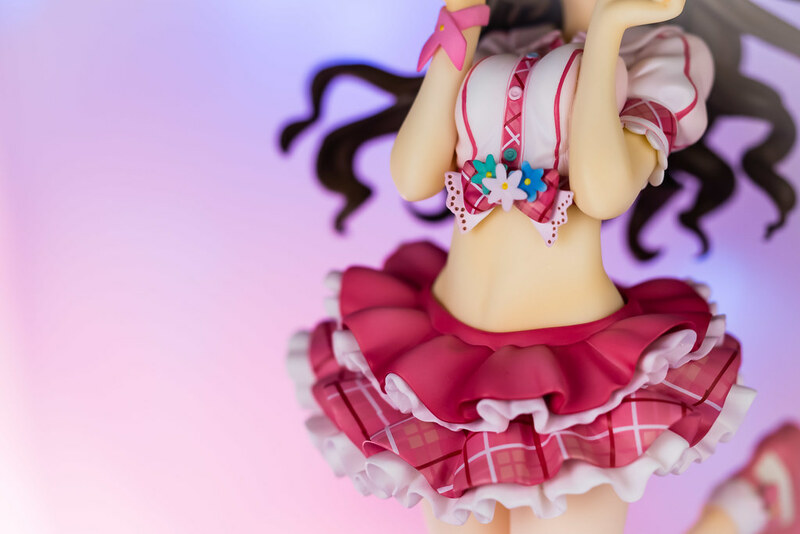 The small details such as those in the ribbon above her midriff show a nice amount of detail. I got to say though, this outfit sure shows a lot a Uzuki with that exposed belly. Plus the way her pose is pressing her breasts together sure draws my eyes. Uzuki's rather short skirt continues to show off her beautiful long legs quite nicely with the details on the shoes and her frilly socks all done fairly well. 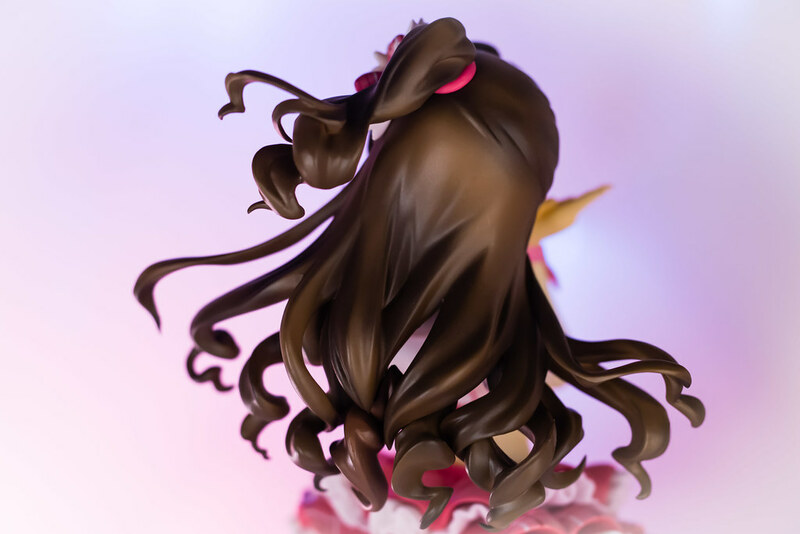 Uzuki's hair is well executed with all the curly ends and strands all well defined with the gradient giving the hair a nice sense of depth and volume. The different strands spreading out adds to the Uzuki's over all sense of motion very nicely. 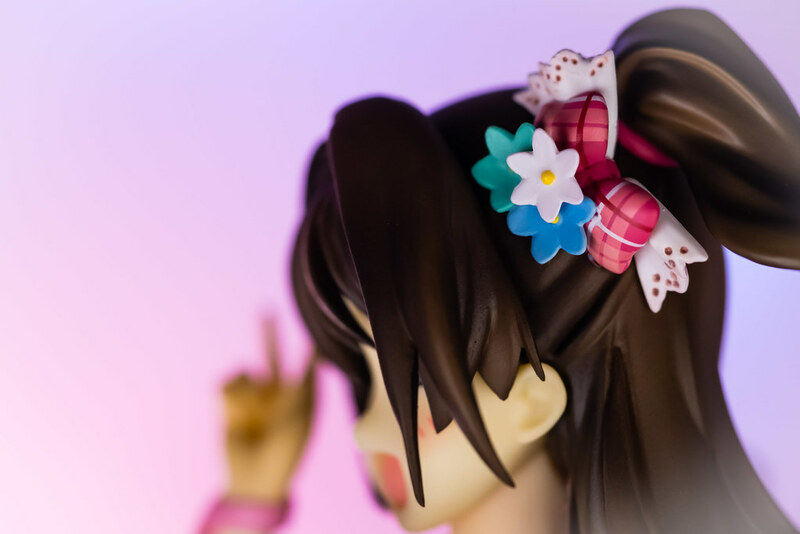 The ribbon in Uzuki's hair is painted perfectly, the different colors all kept within the boundaries of their respective flowers. The plaid pattern on the ribbon itself is done without any issues at all and looks the part. I will continue to be amazed at significantly small details like these done well. 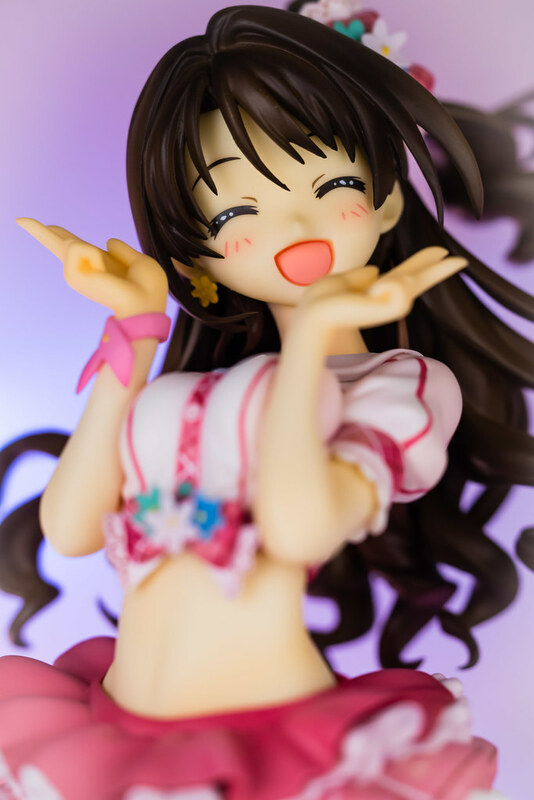 My favorite part of this figure though has to be Uzuki's radiant smile! It just makes me happy whenever I set my eyes on her . The producer choose Uzuki because of her smile, Rin's motivation to become an idol came about after watching this same smile. I can easily see where both are coming from! 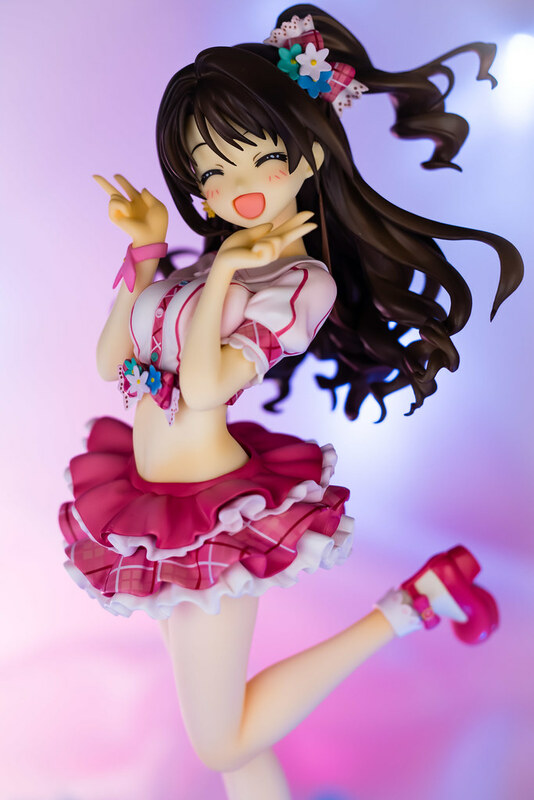 That smile coupled with Uzuki's energetic pose just fills me with intense happiness and brightens my mood! 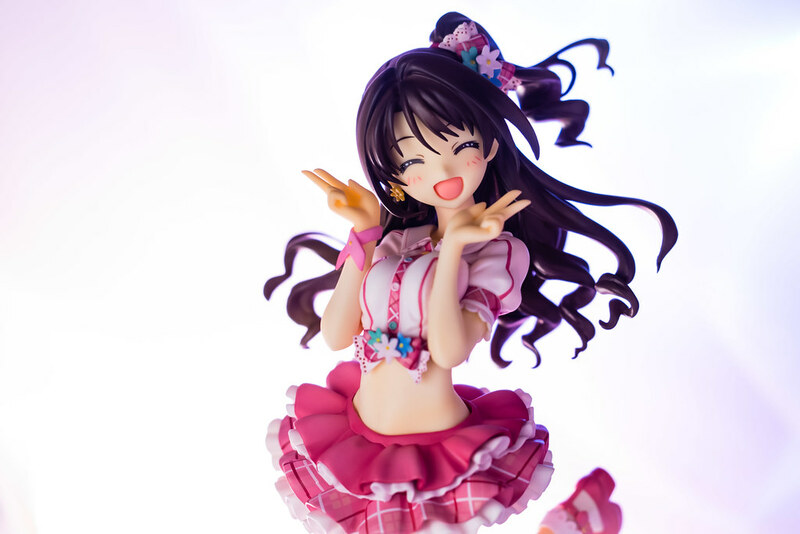 The original illustration and this figure both have done a good job in capturing Uzuki's essence! 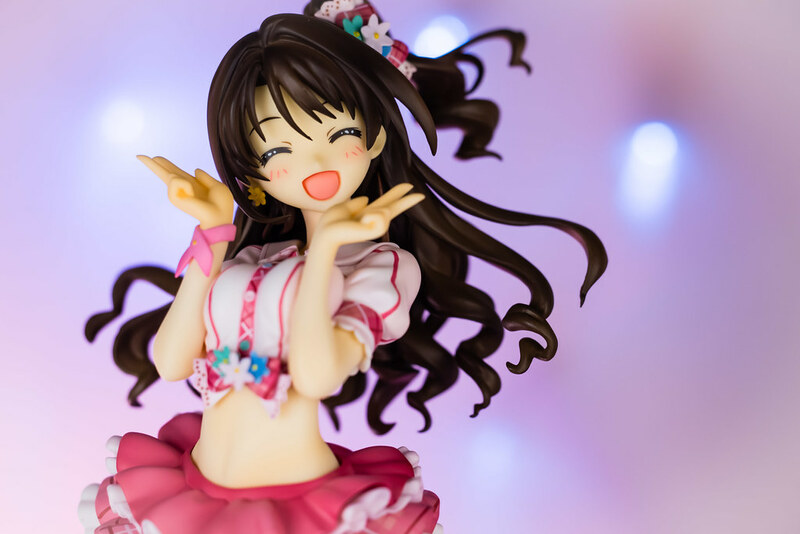 If I have only one regret with this figure is that I did not buy it sooner, Uzuki was released by Good Smile Company during late May last year! I do suppose timeliness is a very rare in this hobby in the first place. Although, if you want to see a more timely review from when Uzuki was released you can do so at Wieselhead. I am completely satisfied with this rendition of Uzuki, I feel I could ask for nothing more. This is one of those times were I fall in love with a character and a figure comes along that just captures all the things I love about that character! 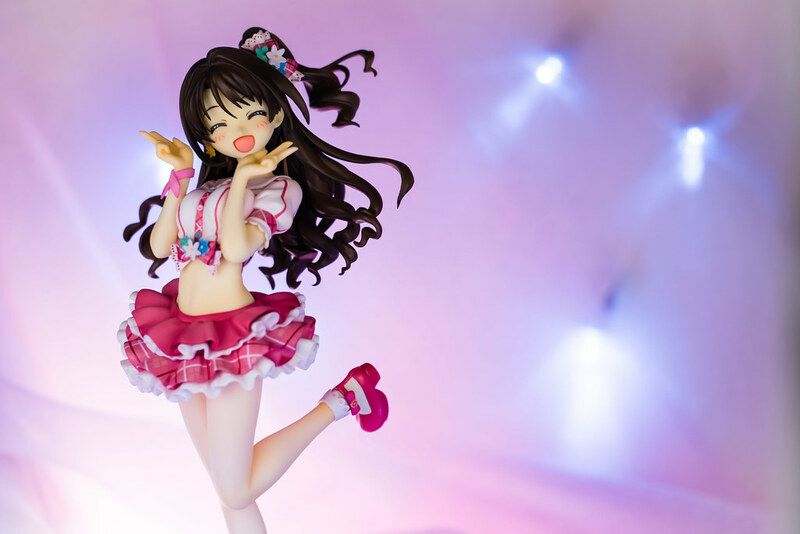 After the excellent work done with this figure I am definitely looking forward to Good Smile Company's next rendition of Uzuki! In the mean time I will continue to do my best!